Europeans fans of the Fiat 500 will soon be able to opt for what the automaker is claiming to be the world's most fuel-efficient gasoline engine, a tiny two-cylinder engine displacing just 0.9-liters. It will be launched in European versions of the 500 and 500C convertible this September but sadly, the chances of an engine that small being available in U.S.-delivered versions of the stylish minicar are next to nil. 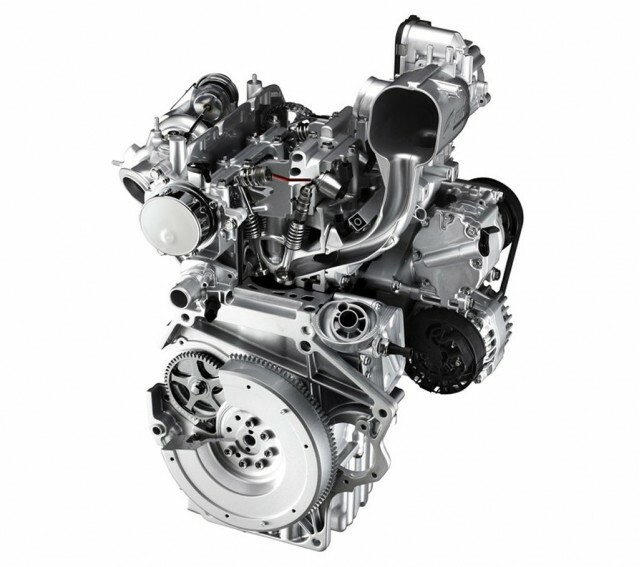 Called the Fiat TwinAir, the new engine will be the only two-cylinder mill available in a new car in Europe. It is claimed to return a fuel economy of 57.4 mpg in automatic equipped Fiat 500s for the European combined cycle. The manual version fares slighter worse at 56 mpg. Two different versions will be offered, a turbocharged version with 85 horsepower and a naturally aspirated one with just 65 horsepower. A More powerful 115 horsepower turbocharged version will be launched further down the track. If that’s not enough, Fiat also plans to launch a mild hybrid version, most likely with engine stop-start, a dual clutch transmission and regenerative braking systems, that should be even more fuel efficient. Fiat is hoping the introduction of such a tiny and fuel efficient engine range will help it meet toughening fuel economy and emissions standards coming into play.